You can rely on Umina Beach Flowers And Gifts to hand-deliver fresh flowers and plants to all the major suburbs, hospitals, churches, funeral homes, and nursing homes in the Umina Beach, NSW area. 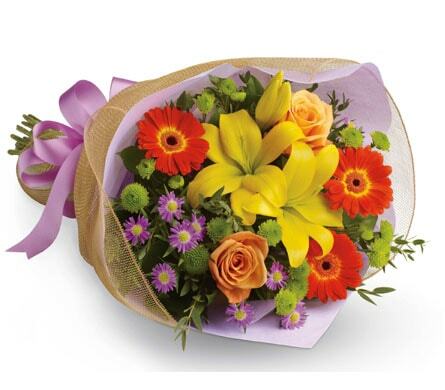 We can send your flowers same-day delivery and next-day delivery to Umina Beach and surrounding areas. 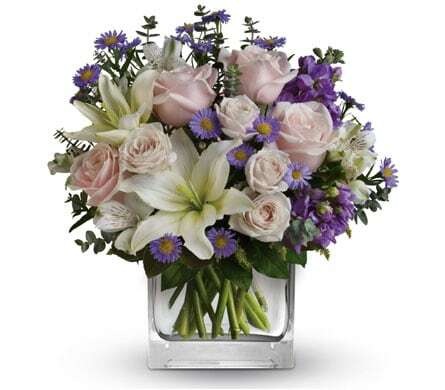 Select Designer's Choice for our freshest flowers, hand-arranged by Umina Beach Flowers And Gifts. Please let us know if you have a special request for any of delivery areas we service. If you're looking for specialised flower delivery services, Umina Beach Flowers And Gifts has you covered! We can provide delivery to a number of facilities in the Umina area. Same day delivery is available for orders placed before 2:00pm Monday - Friday and before 10:00am on Saturdays. We can deliver to most hospitals in and around Umina. We will endeavour to have your hospital flowers delivered but some hospitals have strict policies about flower and gift basket deliveries. Check with the hospital before sending flowers to ensure they can be delivered. Many patients recovering from surgery, seriously ill or in ICU cannot receive flowers and gifts. Alternatively, we can arrange for delivery to the recipients home when they are discharged from hospital. Do You Need to Find a Nearby Umina Beach Florist? The seaside suburb of Umina Beach is located in what�s known as the Central Coast region of New South Wales. Surrounded by Woy Woy, Blackwall, Ettalong Beach, Pearl Beach, the Brisbane Water National Park and Broken Bay, Umina Beach is roughly 16 kilometres away from the city of Gosford. The suburb is 88 kilometres away from the state capital city of Sydney, and around 110 kilometres from the popular city of Newcastle. The white, soft sands of Umina Beach are among the most popular on the Central Coast. The long stretch and diverse waters make it a perfect location for both swimming and surfing, rendering it a local favourite and tourist hot spot. The area also offers plenty of views of the coast, and Mt Ettalong in particular is located nearby and boasts some tremendous vistas of the beach and its surrounding bays. The residential area of the suburb, south of Ettalong, is known simply as Umina. This is another well-liked destination for travellers, given its close proximity to the Brisbane Water National Park. The majestic sandstone parklands, which expand across 12,000 hectares, offer visitors a plethora of exciting things to do and stunning things to see. Home to ancient rock engravings completed by Indigenous Australians, many park guests come to simply admire the natural and human history contained within the boundaries. Several paths snake their way throughout the grounds, offering guests an opportunity to experience the environment from many different perspectives. The lookouts scattered throughout the park boast spectacular views of the rock carvings, as well as the natural rugged landscape and the flourishing flowers which bloom in spring. Pockets of rainforest cross the sandstone, with tranquil waterways running through them. Here, visitors are welcome to try their hand at fishing and other water sports, like kayaking. The trails within the park are not only dedicated to walking. Cyclists will also find trails where they can ride beneath the shady trees and experience the scenery at a more exhilarating pace. Whether visitors choose to walk or cycle, the same awe-inspiring views and peaceful quiet are available to all. Many contemplative picnic locations are also hidden away amongst the park�s wild flora, and many visitors grab their lunch from Umina Beach to bring up and enjoy in the park. The Central Coast Australia official website provides more information on the suburb of Umina Beach, its natural wonders and its neighbouring attractions.